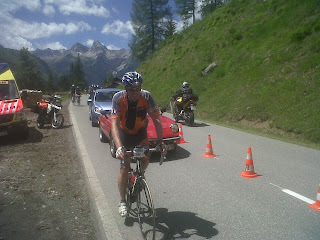 First day, we all arrived more or less well at the finish in Imst after less than 6 hours of racing. On a hot day the steep approach to the Hahntenjoch was murderous. Certainly looks murderous! Nice climbing form there!